The Zipp 808 NSW is the deepest-profile rim Zipp makes at 82mm deep, and is primarily aimed at time trial and triathlon. You can use them for road racing but most riders tend to favour a shallower profile for more all-round performance. NSW is Zipp’s internal advanced design centre and stands for Nest Speed Weaponry. ‘The Nest’ is the nickname Zipp engineers gave to its top-secret test lab. The Zipp 808 NSW retains the 82mm depth of the 808 Firecrest but has an updated rim shape and hub design. 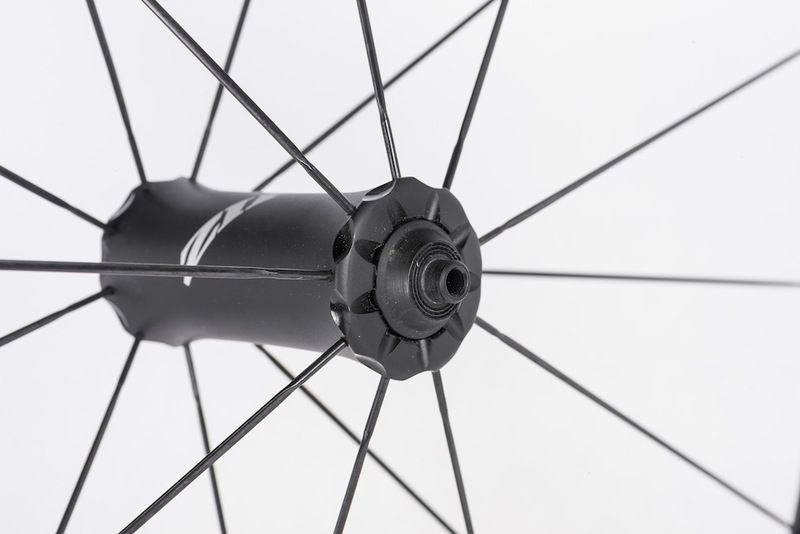 The new wheel has a maximum width of 27.8mm with a brake track width of 26.44 mm and the complete wheelset weighs in at 1,810g (830g front and 980g rear). The Zipp 808 NSW is fitted with the Cognition hubs with Axial Clutch technology. This system is designed to save energy as you freewheel – every time a conventional freehub starts to coast, friction within the ratchet mechanism works like a drum brake to slow the rider down. With Axial Clutch, the ratchet mechanism is disengaged when coasting. It then uses magnets to re-engage once the rider starts pedalling. It’s a marginal gain, but one that is noticeable when doing a roll-down test on a local hill. 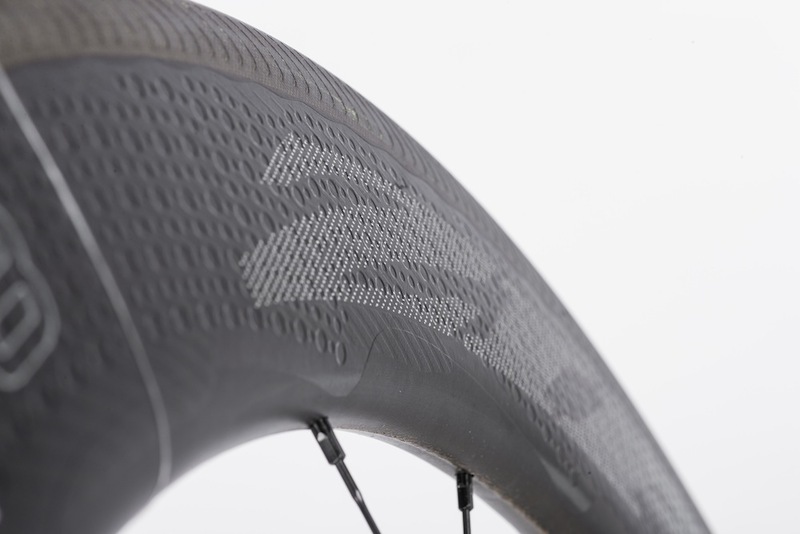 As with other Zipp wheels the 808 NSW has dimples and other features on the rim intended to improve boundary layer airflow and reduce drag. To test the wheels we have been using them mostly in time trials. We have tested the rear Zipp 808 NSW too while training, but for time trials we have favoured the Zipp Super 9 Disc because it offers a greater sailing effect and helps us go faster. The Zipp 808s feel very fast and are excellent at holding speed, especially when there is a slight crosswind. Over the course of 25 miles on a gusty day, these instances of instability can really add up to a significant handful of seconds. With an internal rim width of 17.5mm, I found 23mm Continental tyres worked brilliantly, with a flush integration of tyre and wheel rim. As we know, 25mm tyres offer slightly improved rolling, but 23mm offers superior aerodynamics at time trialling speeds. Absolutely rapid wheels that are regarded by many as the industry standard. Best suited to those racing triathlons or time trials. Weight:1810g (830g front and 980g rear).